As we continue to wait patiently for all of the new nighttime offerings at Disney’s Animal Kingdom, we also carry on in our look at dining options at the park. 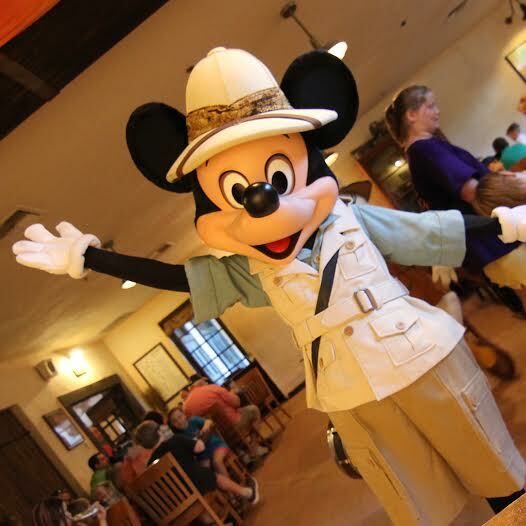 I recently reviewed many of the park’s popular quick service options, and today, we continue our dining adventure at Disney’s Animal Kingdom’s popular character meal at Tusker House Restaurant. I dropped in for late solo dinner a few days ago to see how the food compares to other dining options around the park and Walt Disney World, and was pleasantly surprised with the meal from start to finish. First step: getting to the restaurant. If you’ve never been to Tusker House, it’s not super intuitive – the check-in desk is hidden just behind the covered seating area next to Dawa Bar, adjacent to the walkway to Festival of the Lion King, and just across from Tamu Tamu Refreshments in the Africa section of the park. Luckily, Disney has placed a few signs along the path to help guide you to the desk, where a cast member will greet and check you in, then give you a buzzer or take your phone number to text you once your table is ready. At that point, I was led to the outdoor waiting area just behind the desk, full of chairs and benches (and complimentary water to help cool you off on a hot day!). After a short wait, my phone alerted me that my table was ready, and I was led from the second check-in desk to the inside of the restaurant, where the seater acquainted me with the sprawling (and gorgeous) buffet area and led me to my table in a neighboring room. Both the Cast Member who seated me and my server helpfully explained from which direction the characters (Mickey, Daisy, Donald, and Goofy) would come and how they’d move around the room to reach my table, which was really great to know – I could better plan when it was safe to leave the table to grab a plate of food without missing anything. 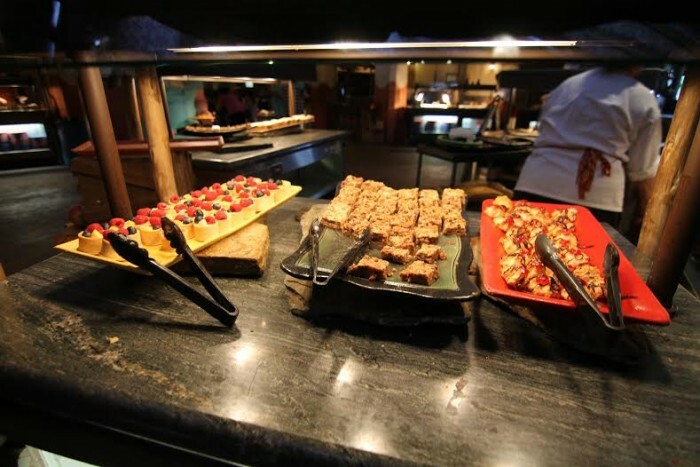 Non-alcoholic drinks are included, as with most buffets at Walt Disney World, so once I’d decided on my beverage, I sprinted to the buffet to sample all (yes, ALL – the things I do for “research”) of the offerings. The spread is pretty bountiful – tons of fresh green and prepared salads, breads and dips, hot entrees and side dishes for kids and adults, a carving station, and an entire area just for desserts. I expected far fewer options, and was pleasantly surprised at the variety, especially given the buffet’s dinner price tag of $42.00 ($25.00 for kids; Tables in Wonderland accepted). I started off on the left side of the buffet at the cold salads and bread/dip tables. All in all, there are seven different kinds of cold prepared salads available, ranging from watermelon & feta salad, a mix of spiced beets, couscous with craisins, and black-eyed pea salad to tamer offerings like a simplistic fruit salad and a tossed Caesar salad. 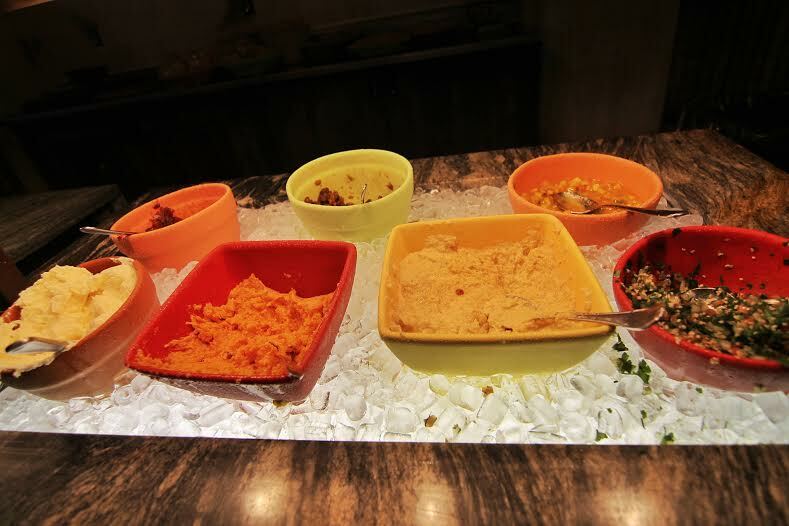 There’s also a make-your-own salad bar with a few dressing options, if that floats your boat instead. Winners for me in the prepared salads included the black-eyed pea salad (onion and vinegar-heavy in all the best ways – a nice savory alternative to typical buffet pasta salad) and the beet salad. Oh, the beet salad: beets (don’t be afraid – sweet and earthy, but not at all as scary as many assume), squash, cherries, and fregola pearl pasta tossed in a sweet and spicy (think cinnamon, not pepper-spice) dressing was an awesome sweeter salad that could’ve easily been my entrée had I not had so many other dishes to try. Alongside my salads, I also tried the fresh (really, still warm from the oven!) herb focaccia and house-made chips (covered in paprika and incredibly addictive), dipped in the blatjangs (fruity jam/chutney hybrid), mango chutney (reminiscent of what you’ll find at Sanaa on their bread service), and hummus (not quite as tasty as those at Boma, but it did the trick for a savory dip). Just as I was finishing up my bites of salad, Goofy and Daisy came around to my table for a quick photo stop. Both were eager to interact with me, even as a solo adult, and the character attendant Cast Member working with both characters even offered to take a photo for me with each character if I wanted. 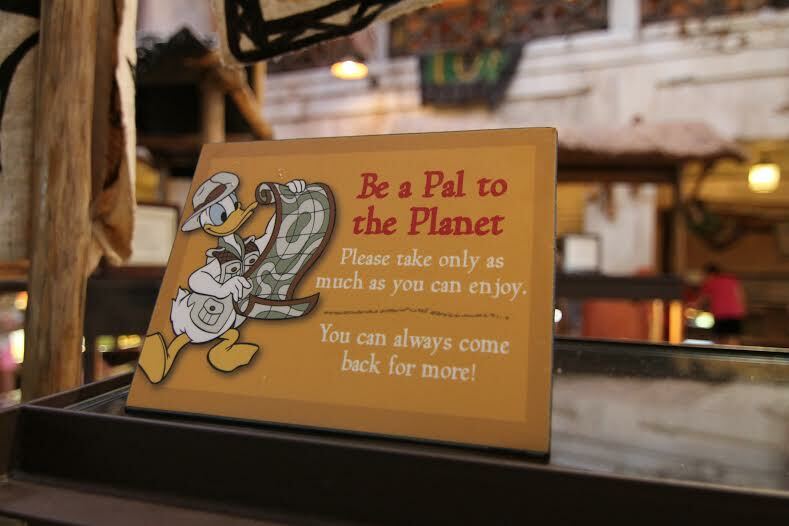 I was incredibly impressed by this – solo dining at a character meal can be awkward, but the character attendant and my server both offered this at different points in my meal, making me feel just as part of the experience as all the large tables of families sitting nearby. Smile on my face after Goofy tried to steal my last house-made chip, I headed back to the buffet for entrees. Even dining at a late hour, every station was well-stocked with food and everything was being replenished very quickly if it did run out, so I actually managed to grab a tiny portion of everything to try (no waste, per Donald’s request on a really great sign next to the buffet). From the carving station area, I loved the carved beef sirloin (flavorful bark on the outside, without overwhelming spice to scare off those who prefer basic meat and potato dinners), the perfectly-cooked sweet plantains, and the creamy and savory mealie pap (far superior to Boma’s version, and one of the best grits-like dishes I’ve eaten at Walt Disney World). I passed on the kid’s tables, but did note the options – sandwich fixings (ham and cheese), applesauce, mac and cheese, grapes, and corn dog nuggets (yep, just like those at Restaurantosaurus and Casey’s Corner). Nothing mind-blowing, but given the wide variety elsewhere on the buffet, many older kids will be just fine with the split-roasted chicken and garlic mashed potatoes with brown gravy (both quality options for pickier eaters that still managed to be well-prepared and balanced, flavor-wise). Peri-peri salmon (flaky, but not dried out; subtly sweet from the tomato-onion jam) and Cape Malay curry chicken (amazing cinnamon warmth that hits you in the back of your throat) were winners in the entrée bars. The tandoori tofu could’ve stood for a bit more balance of flavors – it was mostly herbaceous with little else (and in dire need of some salt). 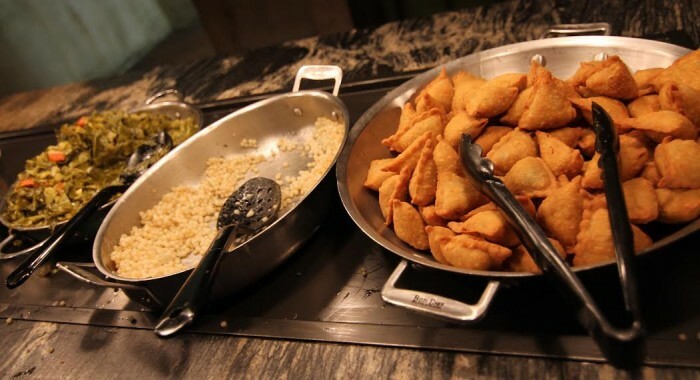 The veggie samosas have a slight kick, and were still crunchy and not at all dried out, despite being on a buffet – an impressive feat. Collard greens were not overdone or too salty (pretty typical that they are cooked to mush elsewhere), and the pearl couscous with sweet basil was a unique side dish that accompanied most of the entrée dishes well without overpowering in spice or flavor (bonus: you could easily pass this off as a new shape of pasta to most kids or picky eaters and they’d love it). Donald and Mickey came to meet and greet just as I was finishing up my entrees, so we posed for photos and then I grabbed a dessert plate to end all dessert plates. Generally, I assume most buffets will have a few cookies, some soft-serve, and one unique option, as people are usually limping to the finish by the time they hit dessert; Tusker House, however, ups the ante. Eight prepared desserts (in bite-size portions) and three types of cookies await you at the end of the meal, some pretty tasty but basic (carrot cake, vanilla cake with caramel sauce, turtle brownie), and some just plain amazing. The pecan bar with chocolate was chewy and rich, full of nuts and not a ton of “filler”; coconut macaroons topped with a dab of jelly (perfectly sweet); a spiced fruit tart that tasted just like how a campfire smells (I can assure you, this is a good thing); a rich and creamy flourless chocolate tart; and my favorite, the peanut butter bar – basically an inside-out peanut butter cup, brownie-esque chocolate cake topped with a sweet peanut butter filling. Overall, those with a sweet tooth will not be disappointed by this selection. The meal as a whole was largely very satisfying – most meat and fish options were a tad on the salty side, but all of them had tons of flavor infused by their respective sauces or spice-coatings; the lone vegetarian entrée (tandoori tofu) wasn’t very impressive, but the vast array of sides and prepared salads that are largely vegetarian (many containing proteins like beans or quinoa) make up for this slight stumble, in my opinion. Adventurous eaters won’t be disappointed here, while pickier eaters still have many options to take in that won’t scare them off; even better, with so many options available, kids and adults looking to expand their palates have a risk-free chance to try “scary” vegetable, fish, and spiced dishes on a buffet that will also satisfy if those dishes turn out to be too much. 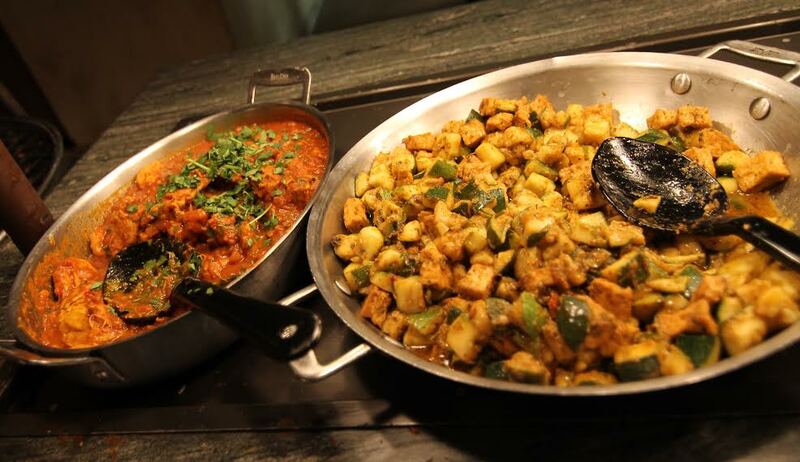 If the price tag is a bit steep, consider trying the slightly-smaller buffet at lunch – a few dollars cheaper for much of the same food. 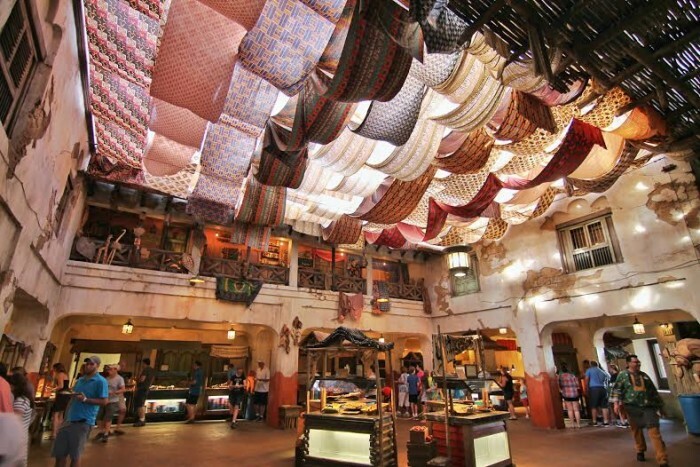 Either way, though, you’ll find a great meal in a fun atmosphere tucked away at Tusker House in Africa at Disney’s Animal Kingdom. Tusker House was the surprise hit of our week in Disney World! I would highly recommend it as an alternative to Chef Mickey’s; especially because the food quality was very good. We were three generations dining together and tend to be adventurous eaters. Everyone found something they raved about and the character interaction was great. I also think the space is gorgeous and broken up very nicely so that it doesn’t feel as massive as it actually is. Great point about the space, Ellen! It was definitely much more intimate and quiet than other character meals can be, which I really loved. I’m so excited to see what Tiffins has in store, but like you, it’ll be tough to drag myself away from the great food at Tusker House. We loved Tusker House on our last visit. 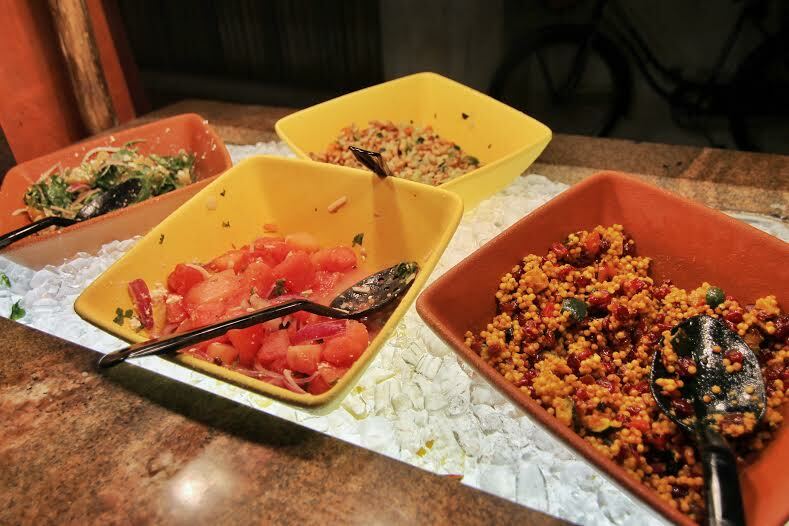 The Disney buffets get a lot of negative reviews so I’m pleased to see lots of positive comments here. Thanks for a great review. Thanks, Joanna! I agree – the quality of food and experiences between different Disney buffets can vary so widely, so it’s always really great when a buffet meal (and a character meal, at that!) exceeds expectations. I’ll join in on the Tusker House love. I have two small kids and we’ve tried all 3 meals (not in the same day), and breakfast several times. I’ve never had a bad experience. I love that it’s located in the heart of the park too, makes it much easier to work into a plan. We absolutely loved Tusker House. Everyone was so nice! The food was good and very interesting. The flow of the characters as you stated was particularly good. I did not feel rushed. We have 6 children and really enjoyed this experience. It was the highlight of our week. Great review! 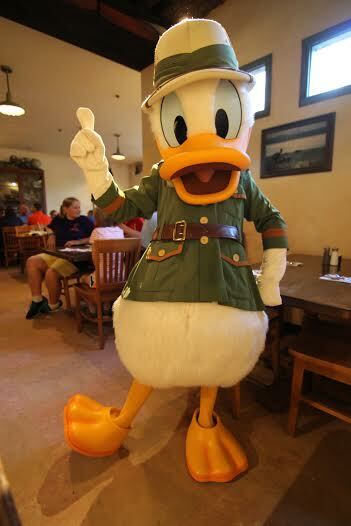 I love Tusker House- have been there in awhile- do they no longer take a photopass photo of you with Donald before seating? 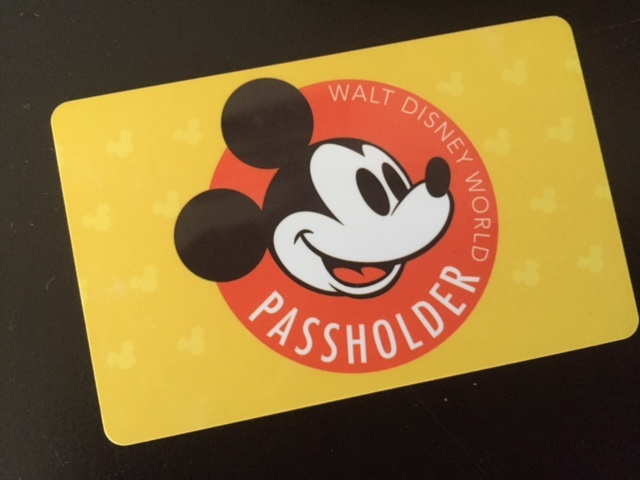 On March 1 we did not get a photo pass photo.